Suppose someone offered you the choice between an easy grad-school entrance exam and a harder exam. The exams count the same: you don’t get extra points or special consideration for doing well on the harder exam. Under those conditions, it would be a no-brainer to take the easier test, right? If your target school accepts both the MAT and the GRE, it may well seem that you have such a choice. All you have to do is answer one seemingly simple question: is the MAT easier than the GRE, or vice versa? Now, in a previous post, I laid out some of the differences between these two exams and pointed out the implications for choosing between them. If you’ve already read that post, you won’t be surprised to hear me say that the relative difficulty of the two exams depends on the student. There’s no concise, universal rule that will tell you whether the MAT or the GRE will be easier for you. What we can say instead is that the MAT format is simpler than that of the GRE. In a GRE problem (Math or Verbal), you may spend much of your time just trying to figure out what is being asked. (This is especially true for Reading Comprehension questions.) On the MAT, your task is always the same: figure out the relationship and fill in the missing piece. Whether this makes the MAT easier than the GRE is a different story. For one thing, simplicity isn’t all it’s cracked up to be. Consider the following two questions. If we don’t know the word aplomb (it means self-confidence), we’re at a serious disadvantage, since we can’t be sure how positions 1 and 2 relate to each other. There’s no clear way to apply the process of elimination, and there’s nothing we could call a “context clue” either. The problem quickly devolves into guesswork. The answer, by the way, is trepidation (meaning fearfulness or apprehension). One way to state the relationship is that a bold person acts with aplomb; a timid person acts with trepidation. Positions 1 and 3 give two personality traits, and positions 2 and 4 show the consequences of those traits. The bold knight competed in the tournament with aplomb, but his timid squire approached the jousting field full of __________. We know for sure that bold is being used to describe a personality trait, rather than to describe a sensation (e.g., a bold flavor) or an action (bold dance moves). Some answer choices (courage especially, but also vigor) are clearly appropriate to the bold knight. They are therefore unlikely to fit the timid squire, who is being contrasted with the knight. Even if we don’t know the word aplomb, we can make some headway by reasoning about how a timid person is likely to act. In this case, the more complicated question actually proves to be easier. Putting the words into a sentence increases the problem’s complexity, but it also provides helpful context. Sometimes, however, the MAT’s simplicity is actually helpful. This is easiest to see in a math setting: because there’s no room for word problems, charts, or diagrams, the MAT has to be fairly direct in the way it tests mathematical knowledge. Moreover, an MAT problem, by virtue of its brevity, can usually only test one or two mathematical facts or properties at a time. Those two factors combined can make the MAT easier than the GRE when it comes to basic math. Applying those two rules above, we can see that (23)2 = 26 and 23 × 22 = 25. In other words, (23)2 is to 6 as 23 × 22 is to 5. Answer (C) is correct. On the GRE, the same basic math can be tested in much more complicated way. The following problem is in the “Select All that Apply” format and opens the door to a kind of case-by-case reasoning not seen on the MAT. a and b are positive integers greater than 1. For which of the following equations in x does a positive root exist? Select all that apply. In this problem, unlike the verbal GRE problem above, the extra room in the problem description is used to make the problem more distracting, if not more difficult. Not only do we have three variables to consider, but we have to know that a root is a value of x such that the equation is true. For example, x = 3 and x = -3 are both roots of the equation x2 = 9. If we plug in either of those values for x, we wind up with the true statement that 9 = 9. For this variable-laden question, plugging in is a good approach. In fact, if we choose 1 for x, we see that all three of the equations can be true — in other words, all three answer choices are correct. It doesn’t even matter what a and b are: 1 raised to any power is equal to itself. This is a level of complexity that the MAT doesn’t have room to develop — at least in its math questions. If you’re not great at math, you’ll likely find at least some parts of the MAT easier than the GRE for this reason. So When Is the MAT Easier than the GRE? Now, it’s true that not all GRE problems are as simple as “Sir Bold and Squire Timid.” Nor are all MAT math problems as easy as “Dueling Exponents.” I hope, however, that these examples help you to see that the MAT’s simplicity is a double-edged sword. On the GRE, especially in Verbal Reasoning, the relationship between two terms will often be spelled out – or at least suggested – somewhere within the problem. On the MAT, you have to speculate as to what that relationship might be, trying different perspectives until the words fit neatly into place. On the other hand, the simplicity of MAT questions will sometimes work to your advantage. Math questions provide a nice illustration: on the MAT, where questions are designed to be answered in under a minute each, you won’t have to fill a page with calculations to get a single question right. Nor will you have to contend with GRE-style word problems, which can sometimes obscure what is really being asked. You might say the MAT has less “bandwidth” than the GRE: it has to fit the essentials of a problem into four words or short phrases. This constraint can make math on the MAT easier than the GRE equivalent. Ultimately, the MAT’s simplified format cuts both ways, so my advice from earlier posts still stands: if you’re not sure which exam to take, try a practice test (or at least some practice problems) from each. Find out for sure: is the MAT easier than the GRE for you, or is it the other way around? 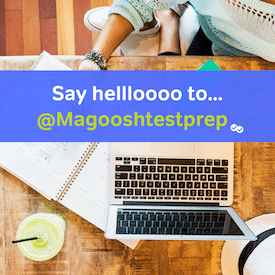 For a quick look at the MAT, try the MAT Study Guide (free from test maker Pearson), which includes a set of practice questions that showcase the test’s simple format and wide range of subjects. For the GRE, you can find an index of problem types (along with sample questions) at the ETS website.